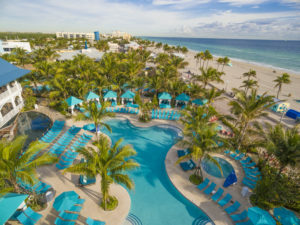 Margaritaville Hollywood Beach Resort, located on the legendary Hollywood Beach Broadwalk in South Florida, is giving guests who book three consecutive nights their fourth night free* – an extra day to explore Destination Paradise! Available for bookings until October 20, 2017 and travel through October 24, 2017, the offer includes added values such as 15% off spa treatments at the St. Somewhere Spa, 20% off paddleboard or kayak rentals, buy one get one free 30-minute sessions on the resort’s FlowRider® Double and a free appetizer with the purchase of two entrees at Margaritaville Restaurant, LandShark Bar & Grill or 5 o’Clock Somewhere Bar & Grill. In addition, guests who book the fourth night free promotion will receive 25% off their next escape. 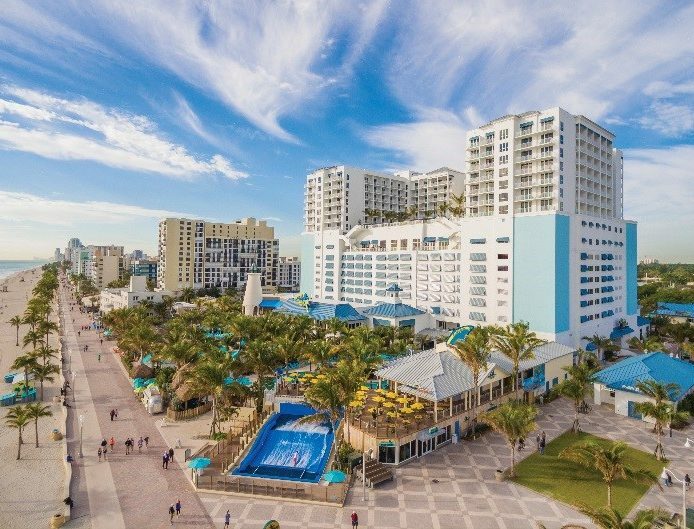 Inspired by the lyrics and lifestyle of singer, songwriter and author Jimmy Buffett, Margaritaville Hollywood Beach Resort is the perfect setting for guests to escape the everyday and just chill. Ideal summer activities and amenities include an extensive on-site water recreation area complete with three pools and a FlowRider® Double, a dynamic line-up of live entertainment, several on-site resort retail stores, and multiple diverse restaurant and bar concepts including the award-winning JWB Prime Steak and Seafood. *Valid on stays June 26 – October 24, 2017. Valid for arrivals Thursday – Monday only, no arrivals on Tuesday or Wednesday. Blackout dates and other restrictions may apply. Offer valid on consecutive booking nights only.